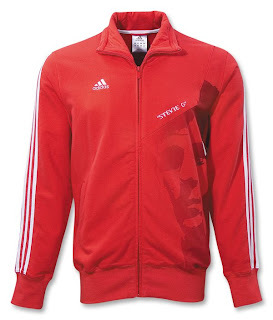 WHAT IT WOULD BE LIKE TO HAVE STEVIE G’S FACE ON YOUR JACKET? He’s the face of English Football, and now his face could keep you warm, so put on this Steven Gerrard Jacket and let the world know who you love. I wish we had a Stevie Wonder shirt but alas …. Perhaps the big face craze began with Che Guevara or Charles Manson, neither of whom I would wear, but Stevie G’s alright with me, especially when he’s playing well for the Three Lions. There’s more to come, as Kaka and more are getting their handsome mugs – or Big Face - on a soccer tee or jacket coming soon! Want to Play in the Confederations Cup? What's New About Beckham's Shoes?